A Campbell River man is counting himself lucky after a 10-minute standoff with not one, but two mountain lions. 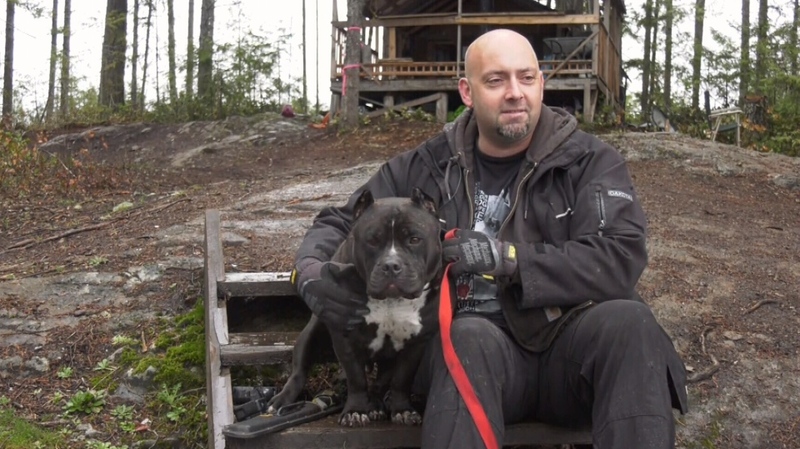 Mike Germunstad and his beloved pitbull, Shorty, were near Lower Quinsam Lake on Thursday afternoon when they came face-to-face with the two cougars. After a brief stare-down between one of the big cats and Shorty, the cougar charged towards the dog. Germunstad leapt into action, hoisting his 75-pound dog into his ATV – and to safety. "I grabbed Shorty by the scruff of the neck and lifted him straight up over my head, and the cougar actually slammed into my leg," Germunstad recalled Friday. The cougar then retreated and joined the other puma several metres away, right in Germunstad's planned escape route. 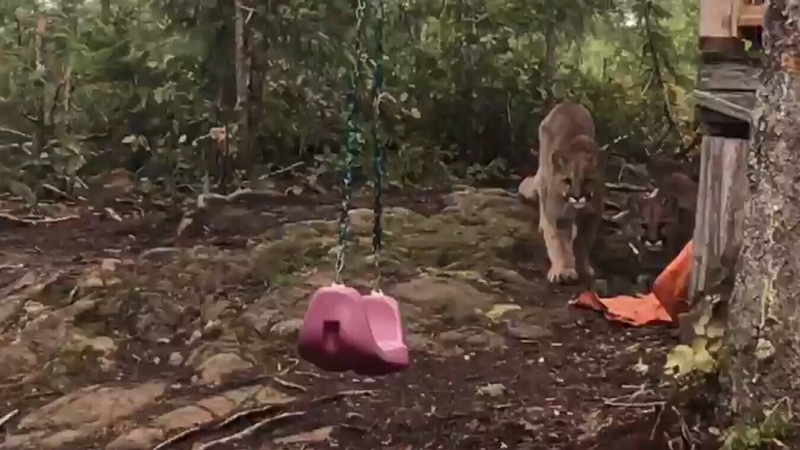 After about 10 minutes, the cougars eventually left, leaving the Campbell River man with a remarkable memory – all caught on his cellphone camera. "I'm lucky to have been able to see them and I'm lucky I didn’t get a scratch on me or my best friend." Germunstad, who runs a wilderness adventure company, told CTV News he was willing to fight the big cat, but is glad it didn’t come to that. "A small housecat will scratch you up pretty good so two cougars… they're going to do a lot of damage," he said. "It could have been really ugly." With about 1,000 cougars on Vancouver Island, encounters like the one Germunstad had Thursday aren’t that rare. In fact, his confrontation happened less than a week after a Lake Cowichan mother pried an attacking cougar off her seven-year-old son.